I usually like red beer and as usual Sam Adams does not disappoint. This is a very flavorful beer with a very nice dark red coloring. The coloring is not a lot different than the Octoberfest but the flavor is. The description from the Samuel Adams website below sums this one up pretty well. Brewers Description: The gentle rain and fertile soil of Ireland helped inspire this style of ale, known for being remarkably balanced. 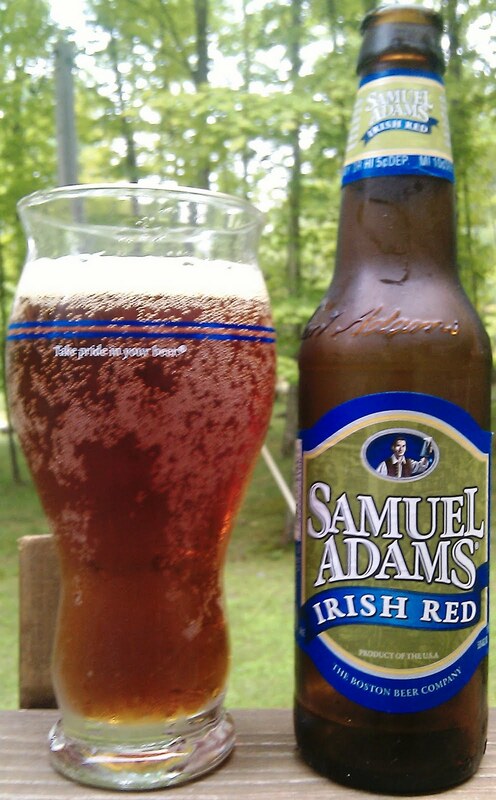 Pale and caramel malts give Samuel Adams® Irish Red its rich, deep red color and distinctive caramel flavor. The sweetness of the malt is pleasantly balanced by an earthy character from the East Kent Goldings hops. Samuel Adams Irish Red finishes smooth and leaves you wanting to take another sip.